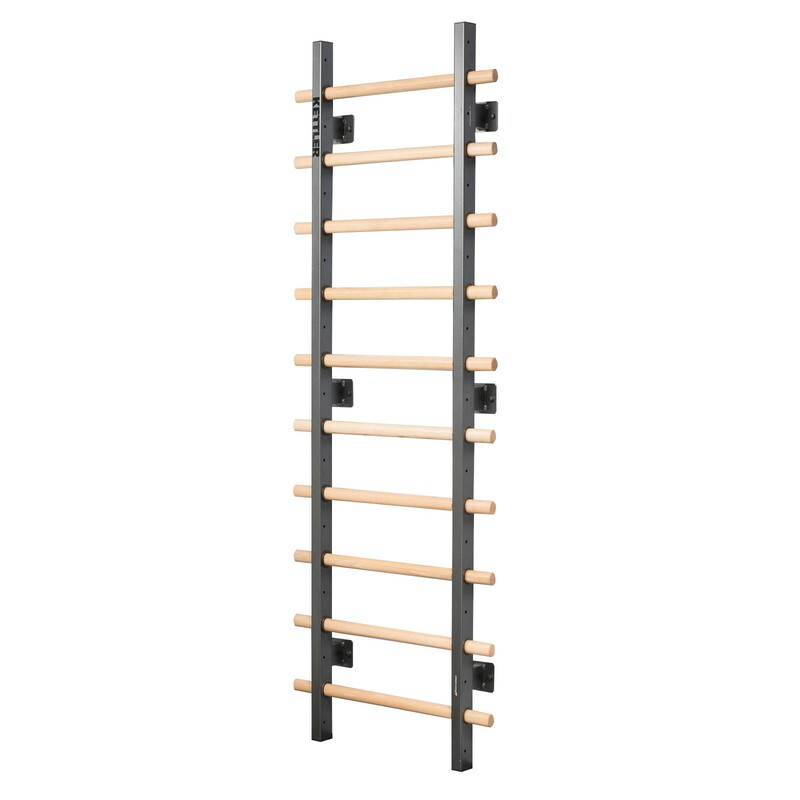 The wall bars of Kettler is a compact, very sturdy training equipment for home use. 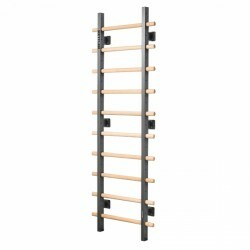 The wall bars made of steel and wood components is made in Germany and provides the quality seal „Made in Germany“. Train your whole body effectively and in a diversified way. If the training variety or contents are too limited for you, you can upgrade the wall bars according to your requirements. 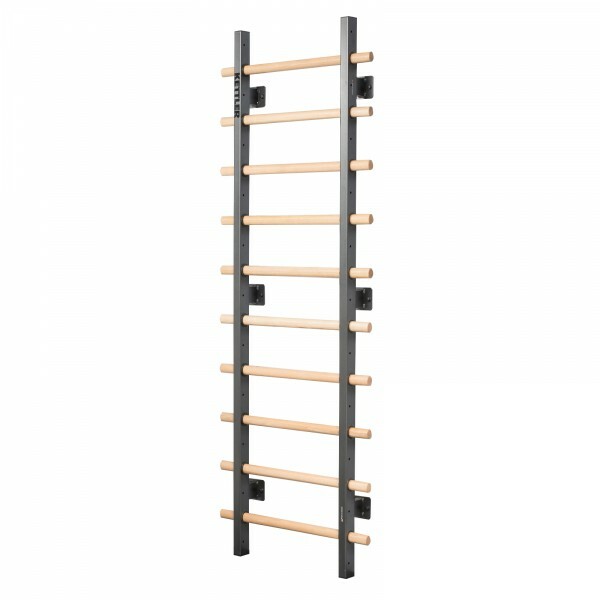 Using the practical “Fast-Click system“, you can mount a chin-up bar, a dip module or a training bench in a few steps. All modules can be individually placed in the wall bars and are usable for any user.